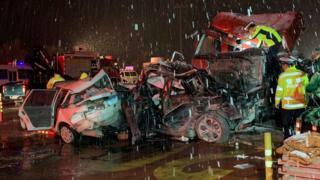 More than a dozen people have been killed after a lorry lost control at a toll station in north-west China. Dozens more were injured when the vehicle collided with a line of waiting cars in Lanzhou, the provincial capital of Gansu, on Saturday. The cause of the 31 vehicle pile-up is under investigation. However, according to China's Xinhua news, the lorry driver told authorities his brakes failed as he travelled down a hill towards the toll station. Xinhua puts the death toll at 15, with another 44 people injured. 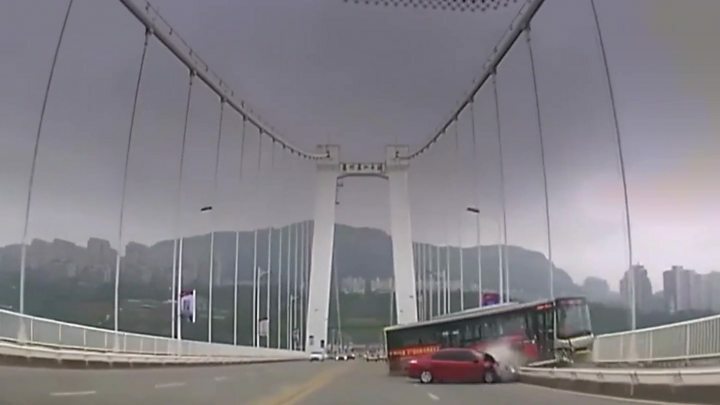 The crash comes less than a week after 13 people were killed when a bus plunged off a bridge and into a river in Chongqing , south-western China.